Dirk Ivens formed Absolute Body Control in the early 1980's. 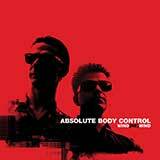 Achieving an underground cult following, Absolute Body Control took their influence from bands such as Suicide, D.A.F, and the UK electronic scene. After a few years, the band members all went their separate ways, with Ivans and Eric Von Wonterghem finding successes in other influential acts such as The Klinik, Dive, Sonar, Monolith, and Insekt. 22 years after splitting up Absolute Body Control re-formed and released Wind[Re]Wind, which contains newly recorded versions of their best tracks. Modern sound recording techniques blend seamlessly with the classic roots of low-fi electro.